-The Talmud is very careful to always attribute its teachings. The above is credited to Rabbi Elazar. -Rashi and the Rambam did not generally attribute teachings in their writings. But then, their purpose was to summarize, to compile, to organize. They could have cited sources in footnotes, but didn't. -Many later commentators cite Rashi and the Rambam as if they were the originators of teachings. For example: "See Rashi on Exodus 4:3". They could have looked up the original in Talmud or the midrashim, and credited it, but didn't. -So why did Rashi, the Rambam, and many later commentators not follow the Talmudic injunction? Rambam explains in several comments that he doesn't want to dwell on the text, or is afraid about hostility against some sources. The reason is pedagogical. I assume that Rashi wanted to make his comments as short as possible to allow a fast learning. Neither Rashi nor Rambam speak to the reader as if they invented something. They transmitted the masoret. Ramchal in Sefer Hahigayon also doesn't cite sources for the same reason, and in most sifre Kabala he cites rarely authors. 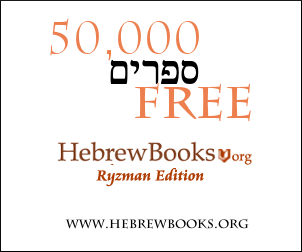 Rambam explain in the introduction that he sometimes cites statements from authors, midrashim, Talmud and philosophers. After this disclosure, there is no need to cite his name for two reasons, the first, to be short, the second, for some people who can think that some author is not trustworthy, so, necessarily his words are bad. So, in teaching Tora, to lead to geula is very important, but to be a good pedagogue is more important. Not the answer you're looking for? Browse other questions tagged talmud-gemara midrash rambam rashi authorship . Citing ancestors: why the Sages said Halachot in their name? What does Avot 6:6 mean when it invokes redemption? Where did Rash"i's commentary leave off when he died? How do we explain the criticism of Rashi by his grandsons? Why do the men (of Menashe) get no credit? Why do we find specifically “Rambamists” as opposed to any other Posek? Where can I find online the gemara with Rashi in regular font with vowels? What was Jacob's nisayon (and where do we find this in the midrash)? Instances in Shas where Tosfos quotes the Rambam?